Table Top is pressed fiber with genuine cherry veneer on top and bottom. 18" diameter x 3/4" thick. Genuine cherry veneer top and bottom over pressed fiber core. Bottom has 7/8" wide x 3/8" deep groove that is 14" in diameter measured from centers of groove. Ideal for mosaics, crushed glass designs and other artistic expressions. Tabletop includes 3 large turn buttons and screws for securing table top to your legs. 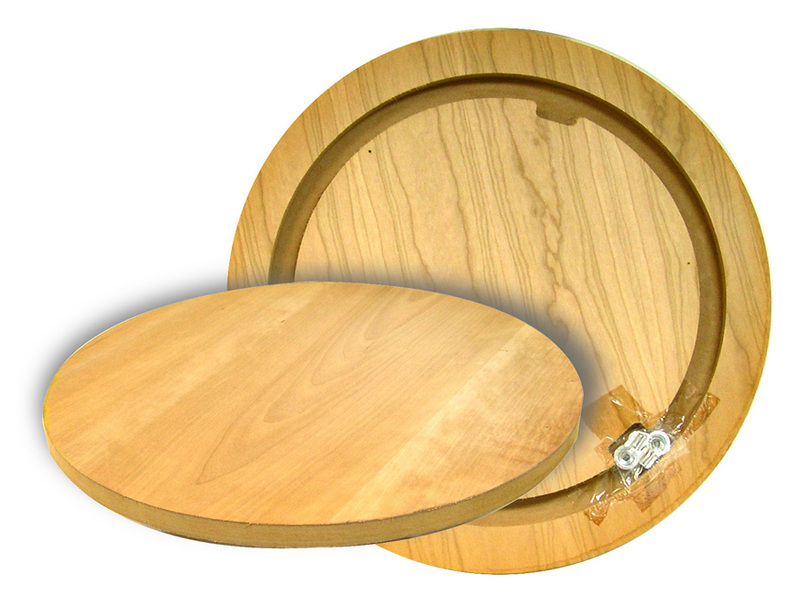 18" Round Tabletop with genuine cherry veneer. Decorate with mosaics or other artistic mediums. 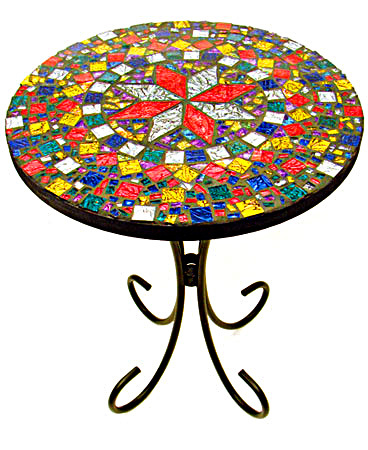 Add your decorated tabletop to your table legs for a one-of-a-kind conversation piece or novel decorating accent.